This year, EDS supplied 2 kiosk leader boards to display auction items and updates on bidders, 10 tablets to assist in the silent auction process, an outdoor LED screen for welcoming guests, and a photo/video kiosk to capture some of the wonderful moments of the evening. 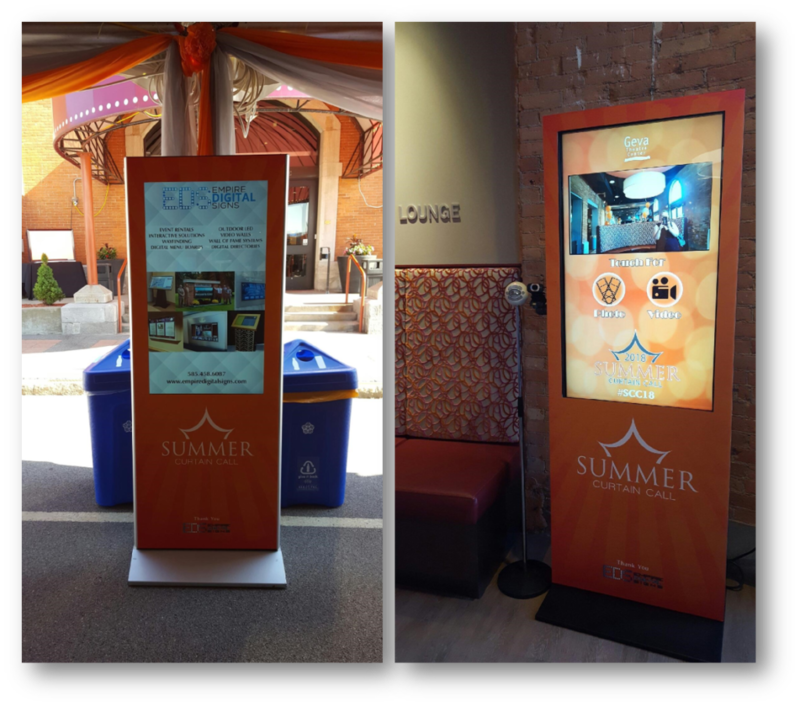 The photo/video kiosk is our favorite as it allows guests to be themselves and have fun while saying what they love most about the event. We truly enjoy being the digital signage provider for the event, and attending as well – we always have a great time! Replacing paper signs is a big goal for many event holders, so it’s an amazing opportunity to assist in making the night run smoothly and efficiently by using digital solutions that can stream the auction content as it updates. We can’t wait for next year! To find out more information about digital event rentals, click here!